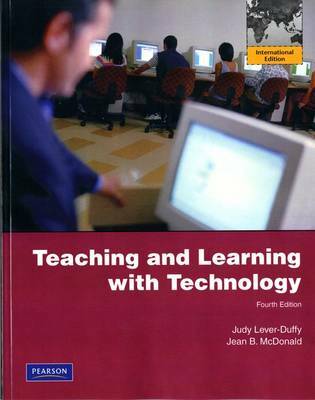 Teaching and Learning with TechnologyFourth edition continues to offer a foundation in learning theory and instructional design that helps position educational technology within the framework of teaching and learning. The text explores current and emerging technologies available to teachers. Using practical applications, examples from the classroom, and an array of reflection activities, the text offers students the opportunity to fully explore and apply technologies as tools to enhance teaching and learning. New Chapter 4 on diversity highlights technologies for special education students, ESL students, gifted, as well as diverse learning styles. The Fourth edition's new Chapter 14 New Technologies focuses on emerging technologies relevant to today's educators. Faculty will find a full range of in-text activities including reviews, group, critical thinking, and hands-on experiences as well as marginal references to the robust MyEducationLab website.